Theater – Port Chester Council for the Arts, Inc. 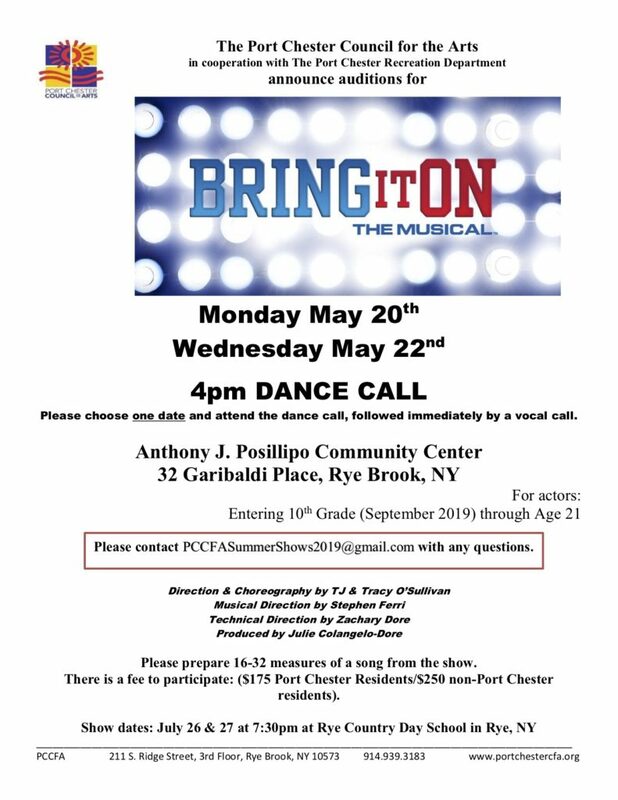 Port Chester Council for the Arts, Inc. Port Chester Council for the Arts, Inc. (PCCFA) is a not-for-profit arts organization based in Port Chester, New York. Since our inception, the PCCFA has enjoyed a partnership with the Port Chester Recreation Department, enabling us to produce some of the highest quality community theatre in Westchester County. 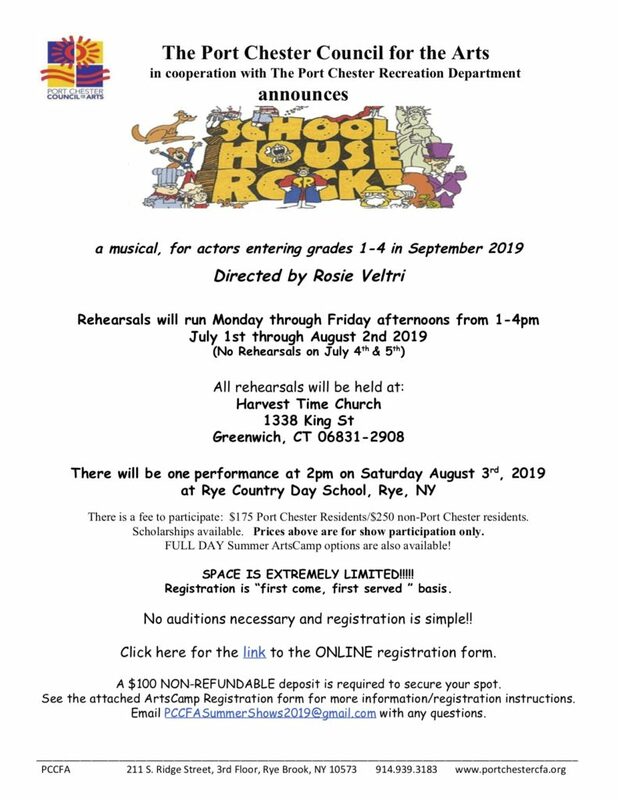 See our Summer Theater Program for 2019 below. 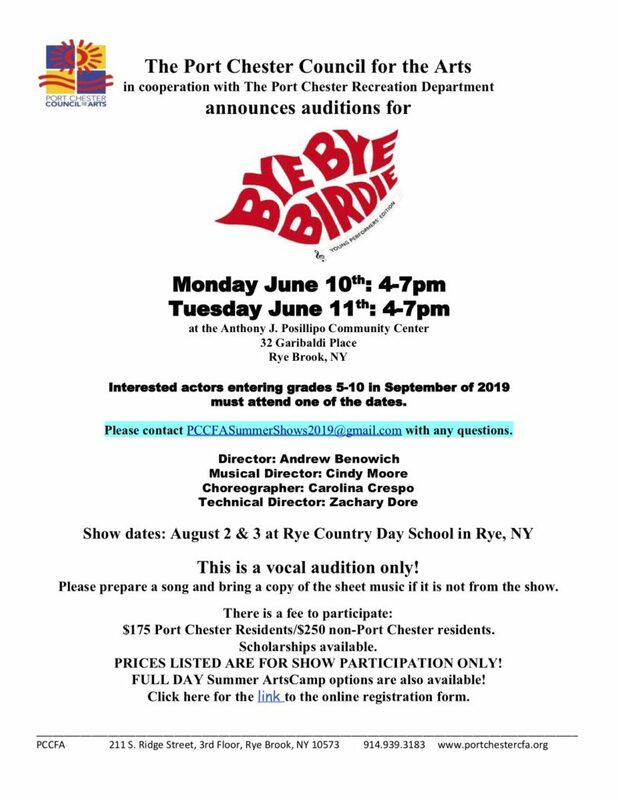 For more information visit Audition Information.